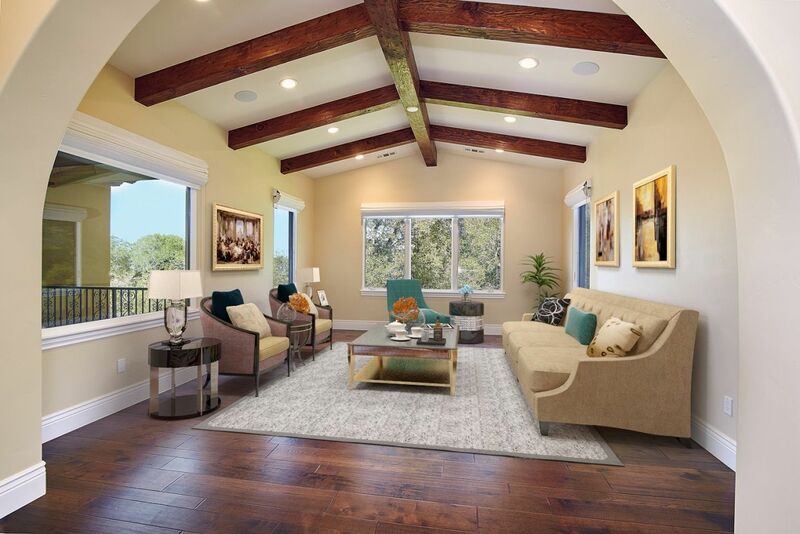 The Highlands of Los Gatos has been conceived to bring the great housing styles of the world together in one magnificent setting. European romantics like “Provence Hill Town”, “Italian Villa” and “Classical Spanish” estates blend with more modern “Prairie” and “Woodland Contemporary” expressions, all situated amongst the rolling, oak covered foothills of the Southern Bay Area. Many of these grand homes sit proudly atop gentle, wooded slopes and have been designed to maximize breathtaking views of the valleys and hills beyond. Several of these homes feature large lower levels which open up to the views and expand outdoor entertaining opportunities. Other homes are more traditionally sited on flatter expanses with second floor living generating a more stately presentation to the street. All of the homes are placed on very large lots with generous distances between them, assuring a sense of privacy. Travel to your favorite destination every time you come home. We’re bringing the world to you at The Highlands of Los Gatos.